Plan a romantic trip for you and your other half to come together at Twin Hearts, one of our charming studio cabins in Pigeon Forge. This cabin offers plenty of privacy, but is also extremely close to amusement parks in Pigeon Forge and all the attractions of Gatlinburg. Twin Hearts offers plenty of ways to connect with your sweetheart, or simply to enjoy peaceful time away just to yourself. 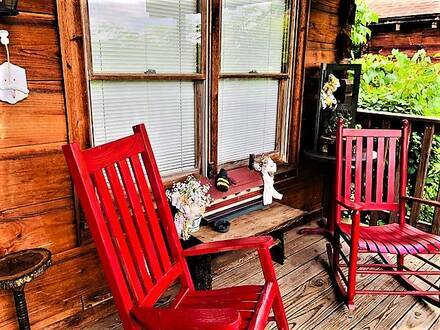 Watch the sun come up or go down from the red rocking chairs on the front porch as you let yourself slow down and relax. Turn on the hot tub, in its own screened-in porch, and breathe in the fresh mountain air as you let your stress fall away. 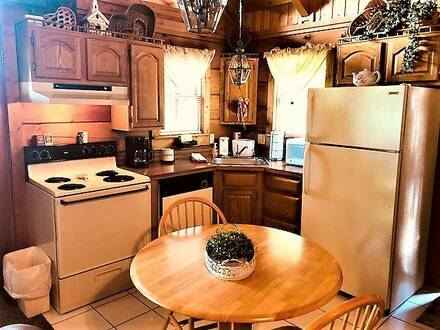 Inside, this one-bedroom cabin has a beautiful gas fireplace with twin leather recliners and a television with cable nearby. It also has a queen-size bed and indoor whirlpool tub and we will not fault you if you decide to just stay inside all day! With a full kitchen and charcoal grill, you have everything you need for a romantic or quiet weekend indoors. 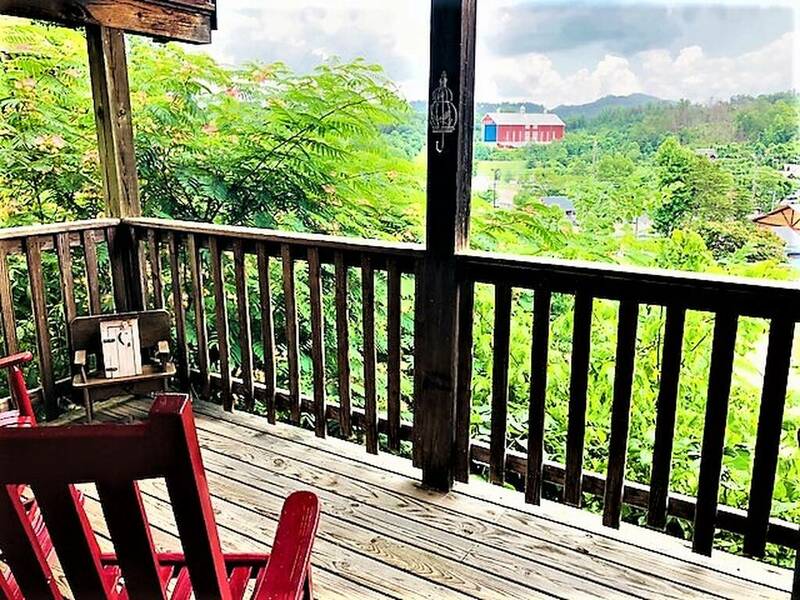 Should you wish to venture outside, Twin Hearts is located within walking distance of all the fun and activities in Pigeon Forge. 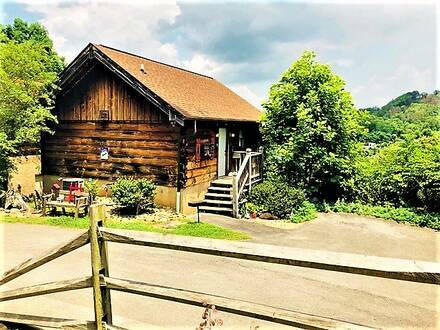 The Smoky Mountains beckon, as well, and your day can start with a hearty pancake breakfast at Reagan’s House of Pancakes on us! Plan a group trip or couples’ getaway and use the four other nearby 1-bedroom cabins — Cherokee, Country Charm, Honey Tree, and Sugar Plum — for the perfect mix of privacy and convenience.